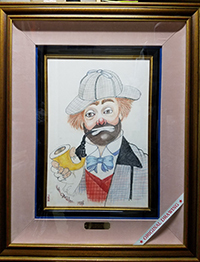 “Sherlock Freddie” is an original, one-of-a-kind pastel drawing on linen, hand-signed by the internationally acclaimed artist and actor, Red Skelton. This original work of art measures approximately 21” x 14” and is framed to an outside measurement of approximately 33.5” x 27”. 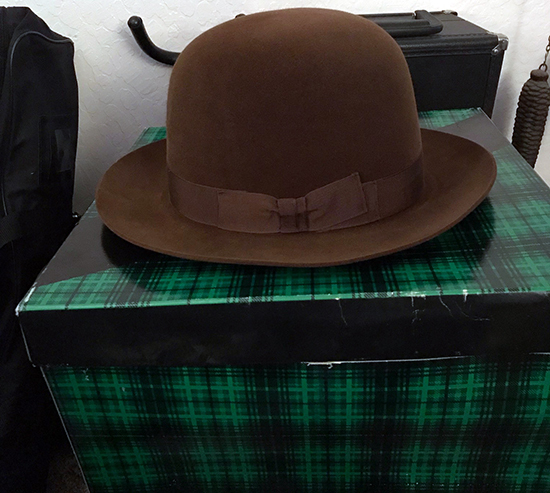 “Sherlock Freddie” was inspired by several trips to London, when Red was invited by Queen Elizabeth to perform at her “Command Performance” at the famous Victoria and Albert Hall.